Nike SB is changing the height on another classic Dunk release. 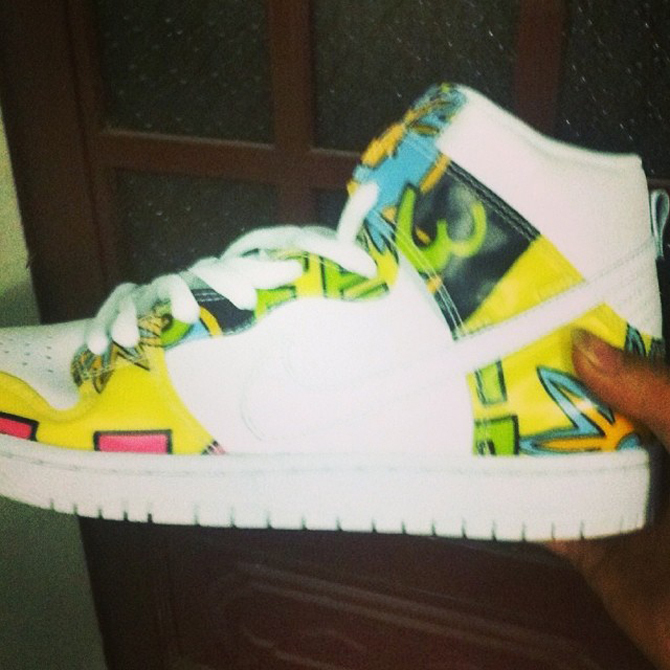 It looks like there's a new Nike SB Dunk High "De La Soul" coming. This isn't a retro of the High pair, but rather a height extension on the Nike SB Dunk Low "De La Soul" with its whiter base and Daisy Age graphics. The sneaker will join an increasingly long line of classic Nike SB shoes to get re-issued with their height rearragned. Now that we know that this pair is coming back, is there any chance that the De La High will emerge in retro form as a Low? Stay with us for the answer on that and check back in on Sole Collector for a Nike SB Dunk High "De La Soul" release date.